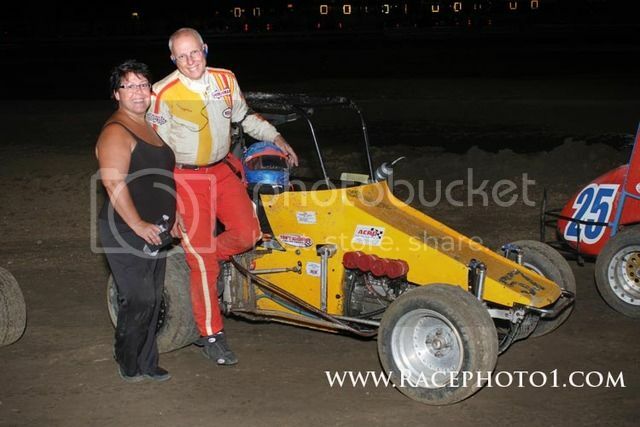 The Midwest TQ Racing League is saddened to announce that Paul Graybrook, 60, of Greenwood, Ind., passed away this morning after injuries sustained in last night’s USAC D2 Midget event in Springfield, Ill.
We wish to extend our deepest sympathies to his wife Suzin, family and friends. He will be greatly missed by all. Paul H. Graybrook was born March 4, 1957, in New Albany, Indiana and was the eldest of two sons to Ralph and Mary Ann Graybrook. He is survived by his wife of 34 years Suzin Graybrook, their daughter Jenifer Graybrook-Snider, son-in-law Brandon Snider and brother David Graybrook (Vicky). Paul served his country in the United States Air Force and was employed at AT&T for 28 years. As Christians, the Graybrook family observed their faith and served within their Greenwood community for many years. Let it be remembered that Paul’s kind demeanor was received by many and that his passion for auto racing could only be eclipsed by the love he held for his family. A Celebration of Paul’s life is set for Tuesday, July 18, 2017, at Barn at Bay Horse Inn located at 1468 W. Stones Crossing Road, Greenwood, Indiana 46143. The Celebration will be from 4:00 to 7:00 p.m.
Memorial contributions may be made to the USAC Benevolent Foundation at www.usacbf.org or at www.woundedwarriorproject.org.